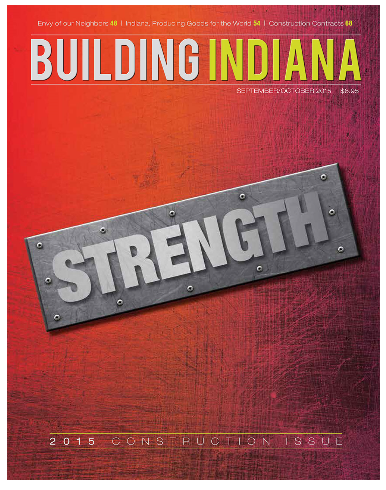 Advanced Boiler Control Services was recently featured in the September-October issue of Building Indiana, the state’s largest business to business magazine. The Crown Point-based publication reaches over 60,000 readers throughout Indiana, covering business and economic development throughout the state. The article focuses on the need to keep commercial and industrial boilers running at peak efficiency. It also points out the best way to maintain reliability is to have an established boiler maintenance program. Regulatory changes, including MACT/GACT and NFPA/ASME codes, demand that plant operations conduct regularly scheduled certified calibration and boiler tune-ups. While plant operators may decide to conduct such evaluations/inspections using their own people, using an external third party such as ABCS for the audit provided two important benefits. First, the auditor provides an objective assessment of the plant as it appears. Second, they can provide recommendations for energy improvements that have been proven successful at similar operations. These modern technologies or energy saving improvements to be considered may include low-NOx and ultra-low NOx burners, burner management and combustion control systems, smart transmitters, analyzers and flow meters, O2 trim controls, feedwater heaters, condensate recovery systems and blowdown heat recovery systems. To read the complete article go to www.buildingindiana.com.